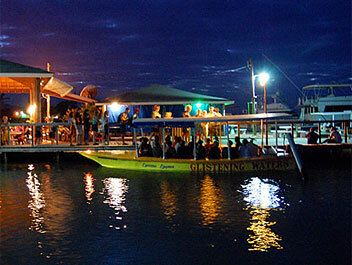 Explore Jamaica's Luminous Lagoon on this night cruise from Grand Palladium (Lucea) resort. The lagoon is full of tiny, harmless microscopic organisms that sparkles and glistens when disturbed. 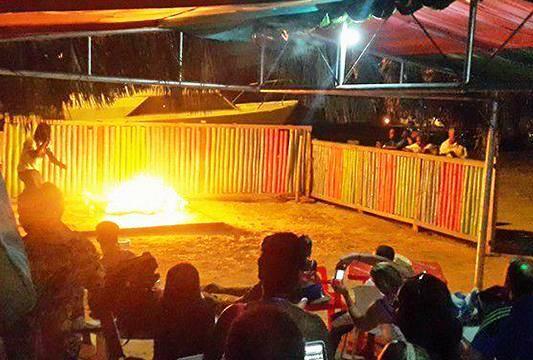 After pickup from your resort, head to the Luminous Lagoon, located in the parish of Trelawny. Walk to the the launching point, board a small boat and head out onto the lagoon with your expert guide. Learn about why the lagoon glows as you cruise to the center of the lagoon, which is less than 5 feet (1.5 meters) deep, and enjoy a complimentary beverage. 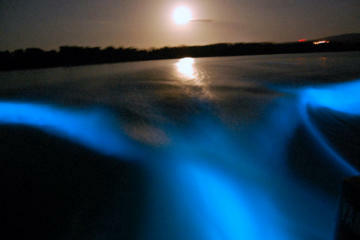 As the water gets disturbed, see an eerie light illuminating from below. After exploring the world famous Luminous Lagoon (Glistening Waters), you'll be transported back to your resort. It was a amazing. Patrick was awesome on both of our events we booked with you guys. He far exceeded our expectations. We have a new friend and will always seek him to be our guide! We had fun. 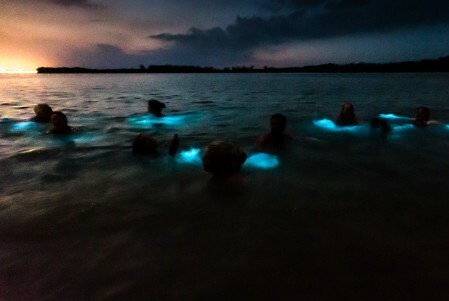 The luminous water was cooler than we expected. The boat and crew were good. The facilities were mediocre. We had a great time on the Zip Line and Off Road Safari. We also booked Luminous Lagoon and Beach Horseback Riding. We had originally scheduled Dunns River Falls and once our driver picked us up from the Grand Palladium and we learned it was a 3 hour drive each way, we made a decision not to make the drive. After he checked in with his manager, he made a great decision and brought us to a less-known river/falls and brought us up in the mountains, driving through villages, and allowing us to see how Jamaicans live. It was amazing. He then brought us to Rick’s Café. We arrived around 2:30 or 3:00, well before it was busy, and we did some cliff diving and ate. My 3 teenagers, husband and I had a great time all the way around and we agreed it was the best day of our trip. Thank you!!! 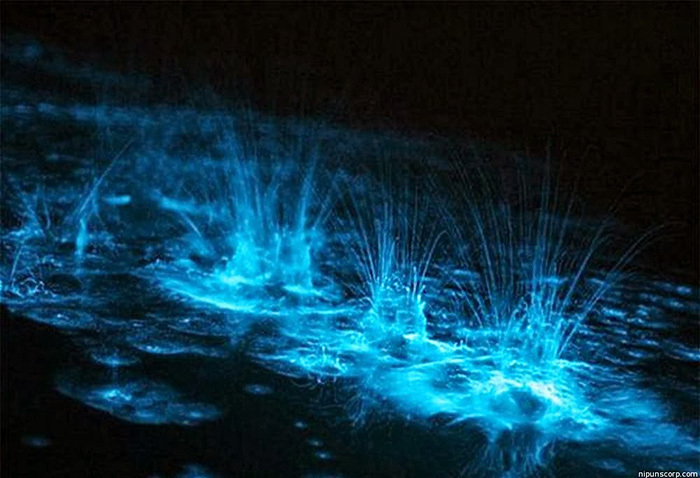 Our excursion on the luminous lagoon was a great experience. Our driver was very courteous and helpful. He told us things about landmarks throughout the trip that made the excursion interesting as well as exciting. I love the way your tour guides are so accommodating and would highly recommend your company to anyone! 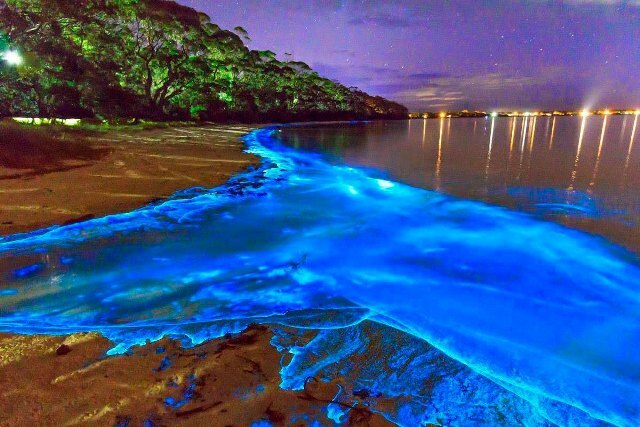 The Luminous Lagoon is an awesome experience. your service was fantastic! I will recommend Jaital to anyone looking for an excursion company in Jamaica. Very please, the driver was very nice and personable and so were the boat drivers, very knowledgeable. This tour is a one of a kind experience. A boat takes you out in the water. 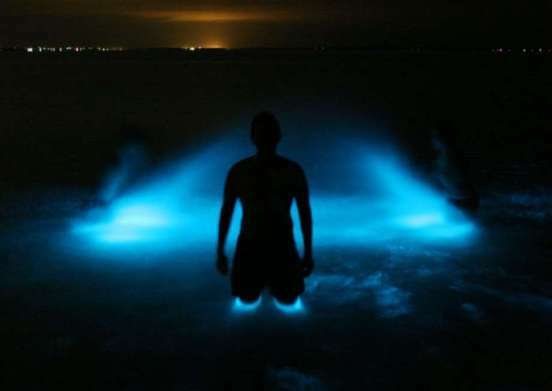 You then jump off and witness the water lights up like magic right in front of your eyes. This tour is a must do when in Jamaica. This tour was the highlight of of our trip in Jamaica. It was amazing to watch the water lights/glistens as you swim. We would love to do this tour again next time in Jamaica. This tour was absolutely amazing. We got pick up from our resort and was taken directly to our tour site. We went on a boat and sail in the ocean. It was so peaceful and beautiful. Once the boat stop, we got off into the water. It was an awesome expreience. The water just light up everytime you move. Its sparkles like diamond right in front of you. Thank you Jaital for this one of a kind experience. It was truly breathtaking and magical!